The phrase sounds a bit boring, sort of like something that you’d be assigned to create for a class in school. Let me assure you it’s not. Few things will be more important to your financial success than your ability to craft and present winning sales presentations. It could be a sales letter. It could be an on-stage pitch. 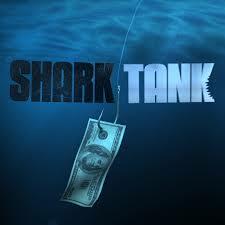 It could be a presentation to potential investors…or prospective employees…or joint venture partners…or clients. It could be something as “simple” as a business/social meal to demonstrate what kind of a person you are. The entrepreneur who is on track is making some form of a sales presentation ALL THE TIME. The variations are endless – but the principles are always the same. Watch and then afterwards I’ll break it down for you. 1. Have something worth selling! If it’s not, go back to the drawing board and make your product or service or deal better. Good products do not sell themselves, but they’re a whole lot easier to sell than mediocre ones. 2. Know the value of your product. Not its dollar value necessarily but ALL the things that make it unique, worthwhile, practical and relevant. This may sound easy, but I can tell you from decades of experience that not one 1 out of 100 (and it could be as high as 1,000) business owners have thought out all the ways their offerings are valuable to others. 3. Give your listeners a clear overview of what you’re there to talk about. 5. When you can, DEMONSTRATE. The great “Top Gun” copywriter of the last 40 years Gary Bencivenga says that nothing – not even great sales copy – beats a good demonstration, and he’s right. Notice that the presenter didn’t just say that the material he used was strong. He stood on it. 6. After you’ve made your case, sum it up powerfully. What’s the Big Win the listener will get by taking the course of action you’re proposing? Is there one. There should be. If there’s no Big Win, what’s the point? 7. State the next step clearly. What do you want the listener to DO? Deliver on your promises – and then some. That’s the most powerful sales presentation of all and will set you up for a lifetime of additional business. P.S. For over 25 years I’ve been sharing the simple but powerful things that matter in business with my clients. 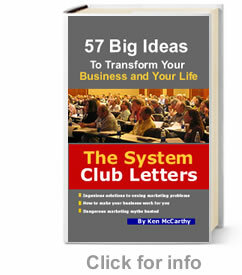 If you’d like direction for your business that will work today, tomorrow and twenty years from now, visit us at the System Club.